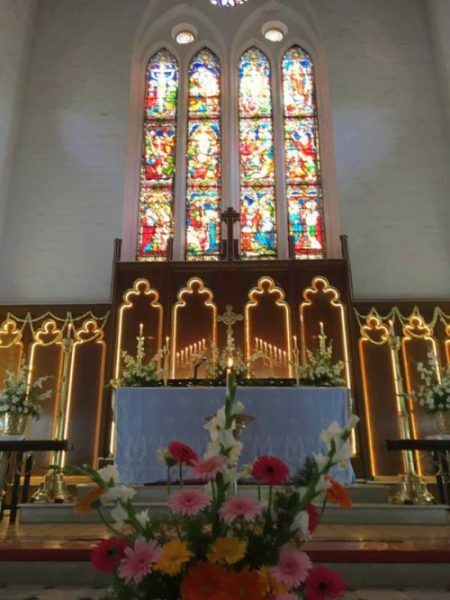 St. Mary’s Church in Cantonment area of Belagavi, was consecrated on April 15, 1869 by the then Governor of the Bombay Precedence, has again regained its Gothic glory. The Church was designed by Reverend Francis Gell and built under the supervision of the then army garrison engineer. Built entirely of Gokak pink stones and Alnavar and Dandeli teak and mortar, it took five years to complete. This magnificent Gothic structure was built under the supervision of the then army garrison engineer. The church is distinguished by its beautifully carved arches, pillars and 2017- gabled canopy roof. Its classic elegance evokes a feeling of timelessness. The altar is built with teak and marble and is towered by an exceptionally beautiful stained glass collage. The collage is about 20 feet tall and 8 feet wide and was made in Italy. It depicts the life of Lord Jesus from birth to resurrection in 12 magnificently touching frames made in Italy. The sun filters through the stained glasses in the church during the morning service creating a breathtaking view. The Church faces the west and the altar the east. The position of the church is such that when the sun filters through the stained glasses during the morning service the effect is breathtaking. The main entrance is in Gothic style with impressive arches of cut stone. The pipe organ, though now not in a working condition, is as old as the church itself. This along with the brass and silver candle stands and the memorial plaques on the walls gives one a glimpse into the glorious history of this distinguished church. St Mary’s Church follows the Anglican form of worship. 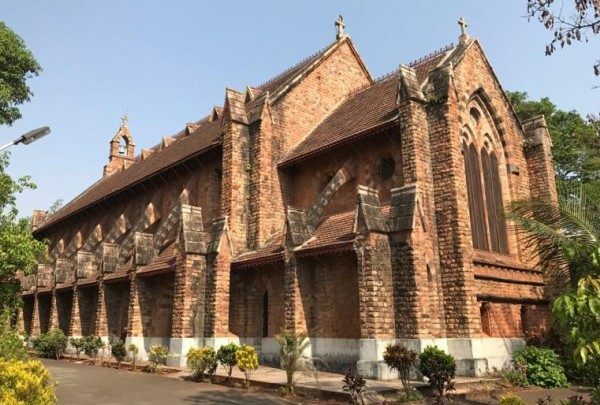 Prior to Independence, it was the Army Garrison Church of Belgaum, under the Army Station Commander, the Bishop of Bombay and the Archbishop of Canterbury, England. The head priest of the church was the Chaplain of Belgaum. Even today the locals refer to this church as the Church of England or High Church. 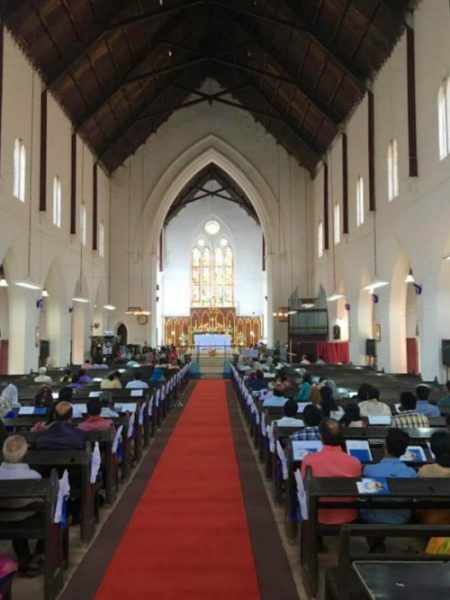 The church is the property of the Bombay Diocesan Trust Association, an organization based in Bombay looking after properties of Anglican Christian church all over western India. For the first time since Independence, the Trust has undertaken the renovation of church and the construction of the much needed compound wall. hmm ? that’s amazing it would definitely make it a point to visit the time I come to belgaum.